One of the most popular parks in Chicago, Grant Park, encompasses a full 319 acres in the Loop. 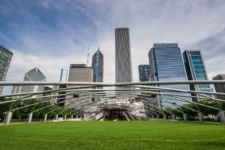 Host to numerous annual events, from The Grant Park Music Festival to The Taste of Chicago, Grant Park is a well-traveled area for both locals and tourists. For pet owners, there are a few things to keep in mind when traveling to Grant Park with your dog. Are dogs allowed throughout Grant Park? 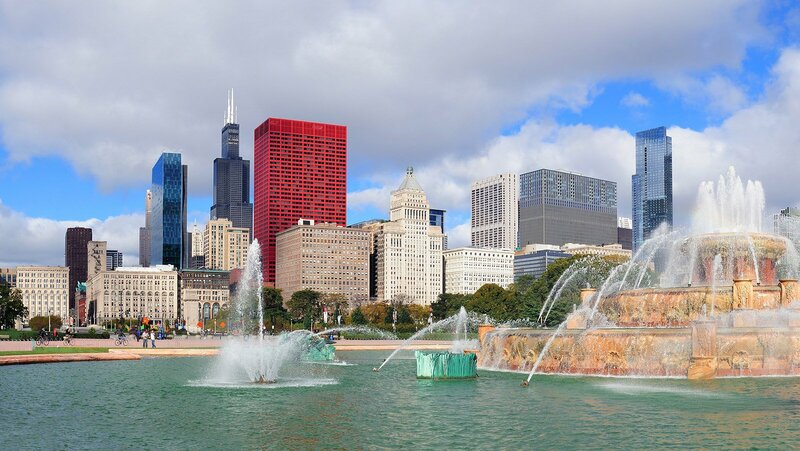 Because Grant Park encompasses a sprawling area, including Millennium Park and the Buckingham Fountain, dogs are not permitted throughout each of the different locations. In fact, unless your dog is a service animal, he or she is only allowed in the designated off-leash area. Is there a designated dog-friendly area at Grant Park? Yes, it is located northwest of 9th Street at the service yard south of Balbo. This fenced area encompasses 18,000 square feet and provides a doggy drinking fountain for visitors. What is the leash law when entering the dog-friendly area at Grant Park? While the dog-friendly area at Grant Park allows for animals to be off-leash, dogs must be leashed prior to and upon leaving the gated area. Each visitor is responsible for maintaining a closed gate upon entering and exiting the area. What is required for dogs entering the dog-friendly area at Grant Park? Owners who bring their dogs to the off-leash area at Grant Park must have a permit and tag for each off-leash pet. These $5 tags can be purchased through numerous veterinarians throughout the city. 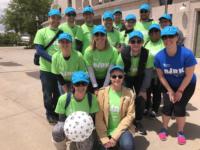 Check out the Chicago Park District website for a list of participating Chicago veterinarians providing annual tags for dog-friendly areas. Are there special guidelines for Grant Park festivals? No, all the same guidelines apply. Only service animals are permitted for festivals at Grant Park, including Millennium Park events and The Taste of Chicago. Are there clean up bags provided at Grant Park? No. Owners are responsible for bringing their own clean up bags and are required to clean up after their dogs immediately. 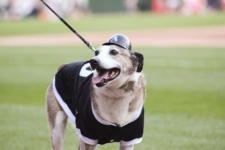 Failure to do so can make owners subject to a fine of up to $500, according to the City of Chicago Ordinance 7-12-420. What can I do if I want to bring my dog through the other areas in Grant Park? 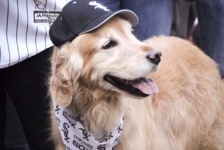 Pet owners can keep their dogs on a leash through the areas in Grant Park that permit animals. 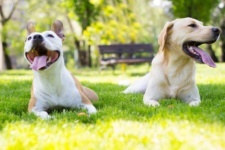 For the areas of Grant Park that do not allow dogs, pet owners must keep their dogs confined to a cage or crate until they reach an area where dogs are permitted.